Deciding what kind of dog to get is as important as deciding whether to get a dog in the first place. The ANKC recognizes almost 200 breeds of dog, and each of these breeds has its own unique temperament, appearance, activity level and set of needs. You should do some serious and careful research to determine which breed of dog is right for you and your family and in particular , its suitability for living in the harsh conditions of the Northern Territory. If you are completely uncertain what breed of dog you want, consider attending an All-Breed dog show. Visit the DOGS NT Calendar of Events to find out when and where the next shows will be. This gives you the opportunity to see many different breeds of dog, speak to people who own them and find out if they seem to be the type of dog that will suit your lifestyle. Several websites that can help you narrow down your choices to several dog breeds that will suit your age and stage of life are listed here and may be helpful in assisting you with your choice. You're going to be living with this dog for a long time, so you need to make sure it has a personality you can live with. Do you want a dog that is active, or subdued? A dog that is easily trained, or more independent? A dog that is friendly to everyone he meets, or one that is loyal to family but aloof toward strangers? A dog that needs a lot of attention from family members, and lots of activity to prevent him from becoming bored and destructive, or a dog that is content to be left alone for periods of time during the day? If you plan to have more than one dog, or even other pets, you will want to make sure it is the sort of dog that can live peacefully with your other pets. All little puppies are adorable. They grow quickly and some of them grow a lot. 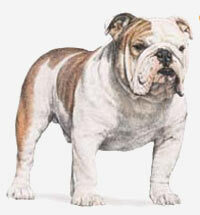 Find out how large in height and weight that cute puppy will become before you bring him home. Remember that larger dogs require more food and space. Is your yard or living room big enough to meet his needs? And keep in mind that some little dogs still need lots of room to run around and burn off energy. All dogs need to be groomed regularly to stay healthy and clean; most dogs will shed. Some dogs shed profusely all year round. Some shed in clumps for a few weeks. And some dogs shed only a little bit. 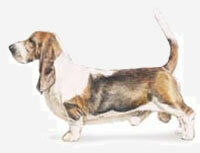 Some breeds have continuously growing coats that tend to catch the hair so that it is not shed around the house. These breeds are preferable for allergy sufferers but may take extra maintenance as the coats will need to be clipped every few months. Long-coated dogs are beautiful to look at, but require a lot of effort to stay that way. Short-coated dogs are easier to care for, but may still shed, and may require protection in cold or wet weather. Dogs with fancy trims may need professional grooming. Decide how much dog hair you're willing to put up with, and how much time and energy you can afford when you're deciding which breed is right for you. 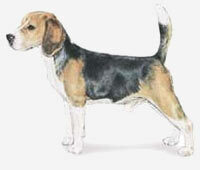 Some breeds may be prone to hereditary diseases or conditions. Many breeds can be screened for certain conditions, such as hip or eye problems; this certification should be available to you from the breeder when you go to look at a puppy. Being educated about the health considerations of your chosen breed can help you to avoid or alleviate future problems.